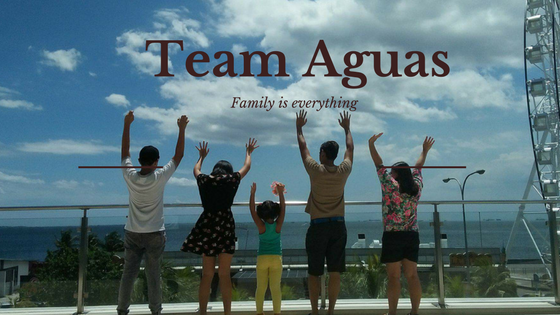 These subscribers can watch YouTube for one hour for free daily by simply registering to load packages like GigaSurf99, AllOutSurf99, GigaSurf 50, AllOutSurf 30, Panalo Data 30, Panalo Combo 30, Super Combo 20, and Big Time Data 70. They can enjoy this special offer for the duration of the packages that they buy. “Through this path-breaking partnership, many more Filipinos can pursue their passions like music and entertainment, and learn a wide range of skills, hobbies, educational material, news and information through the massive library of video material of YouTube. This service is something every Filipino should have access to,” said Oscar A. Reyes, Jr., SVP of Consumer Business Market Development for PLDT and Smart. "With this new offer, mobile phone users now have everyday access to the richest video library with content from every corner of the planet—for free,” Reyes said. 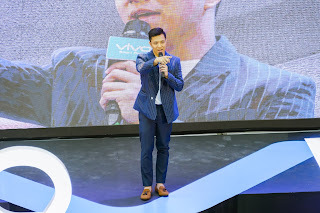 He added that this special promo will soon be available to postpaid subscribers as well. “We are proud to partner with YouTube to bring the service closer to our customers. This is just the start of a fruitful partnership, and we are working on a lot of other exciting initiatives that will enhance the digital lifestyle of Filipinos,” Reyes said. Aside from YouTube, another video service is also set to be part of the offer. 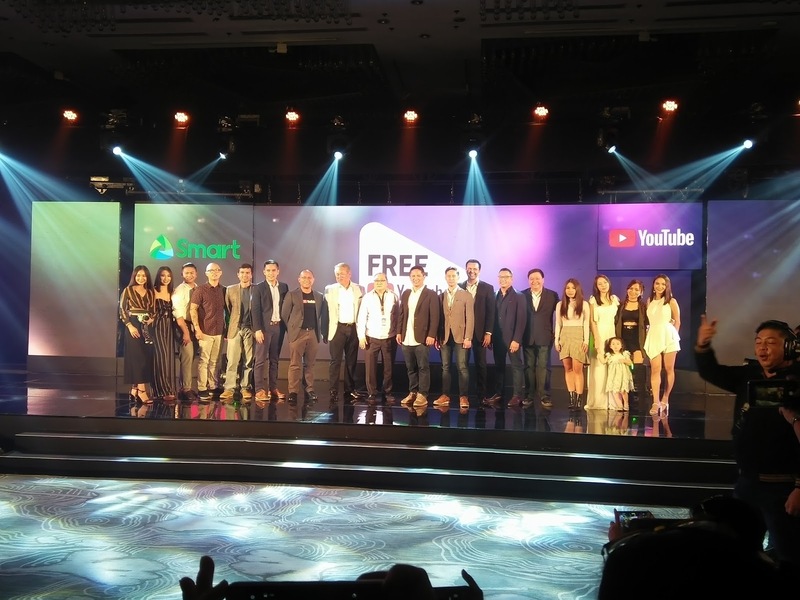 Access to Smart360 (http://360.smart.com.ph), a web portal where Smart, TNT and Sun subscribers can access various digital content like live TV, movies, series, music and games, will soon be free for a limited time. Other video content providers are also eligible to be included in the offer, subject to mutually agreed terms with Smart. Smart, TNT and Sun subscribers are now better able to enjoy video streaming services like YouTube as a result of Smart's massive network investments over the past several years which has enabled the mobile phone carrier to provide high-speed mobile data services via its expanded LTE and 3G networks throughout the country. To provide customers with a better video and mobile internet experience, Smart is accelerating the deployment of LTE-Advanced (LTE-A) and carrier aggregation technology to more areas this year. Carrier Aggregation (CA), a feature of LTE-A, enables the combination of two or more radio frequency bands in order to deliver bigger bandwidth and much faster data speeds, which are crucial in providing the best video streaming experience to mobile phone users. 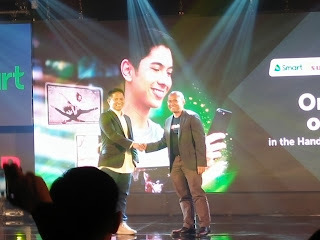 Smart has already rolled-out 3CC CA sites in cities across Metro Manila, as well as in major cities in other regions of the country, including Baguio, Calamba, Iloilo, Bacolod, Tagbilaran, Ormoc, Cagayan de Oro, Dipolog, Zamboanga, among others. In Metro Manila and areas where there is a concentration of capable devices, Smart is also deploying 4CC, starting with Marikina and Quezon City, where customers with 4CC CA-capable devices like the Samsung Galaxy S8 have reported enjoying data download speeds of over 200 Mbps. Smart’s accelerated deployment of LTE-Advanced follows the stepped up roll out of its LTE network. It is also upping the ante by deploying another LTE-A based technology called 4x4 Multiple Input Multiple Output (MIMO), which raises the radio frequency efficiency by using multiple antennas for sending and receiving data. Parent company PLDT has committed historic levels of resources to support network transformation. Capital expenditures reached P40 billion in 2017, of which about 67% was allotted for the mobile network. For 2018, PLDT capex is expected to reach P58 billion, which includes allocations for the aggressive roll-out of its fiber broadband service, which also supports the stepped-up deployment of the mobile network by providing high-capacity links for cellular base stations. 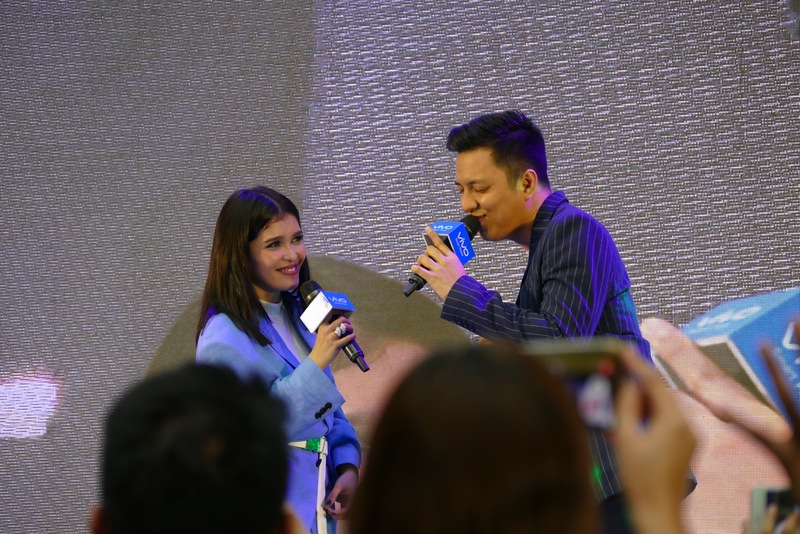 Now back in the Philippines, KZ performed for her fans at the SM Mall of Asia last April 22, Sunday, to support the launch of Vivo’s newest flagship smartphone, the V9 with a 24-megapixel AI selfie camera and more. 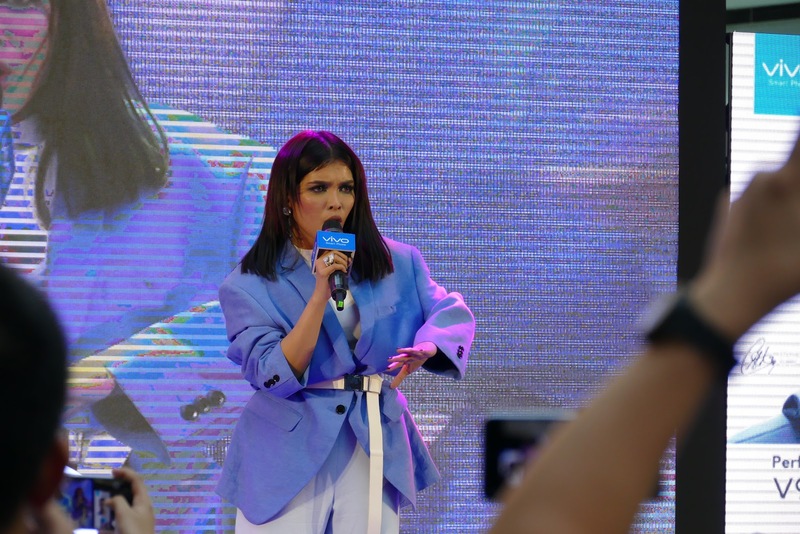 It was her first public performance in the Philippines following her appearance on Singer 2018. Summer is definitely here and this is the perfect time for kids to enjoy, relax and have fun after a busy school year! Aside from beach getaways and outdoor activities with the family, summer is also a time for kids to meet new friends, try new things and improve their skills by enrolling in summer workshops, and (yes!) to know more about God! Around this time, Vacation Bible Schools (VBS) for kids are being held in local churches near you. VBS are usually held for 5-7 days and are filled with fun Bible games and activities, and with lots of singing and dancing! What’s more? Enrollment is usually free of charge! VBS is a perfect place for kids to learn important Bible lessons that will help build their character as they grow up. VBS classes are packed with exciting and creative activities that makes learning fun, interesting and memorable . VBS also gives an opportunity for your kids to meet new friends! As they interact with each other and gain “new experiences” as a team, kids will learn how to value each other and work well with one another. This is a skill that will benefit them for the rest of their lives. Teaching kids about God’s Word and sharing with them the love of God is the most precious learning that they can get in a VBS. With the songs and materials lessons that are call centered to on Godthe goodness of God, the kids will have the at opportunity during VBS to really know who Hethe Lord is in a very personal level way—as young as they are. Now, who wouldn’t love to be a part of that? So if you are a parent, consider sending your kids to a Vacation Bible School near your place.! Ask your local church. 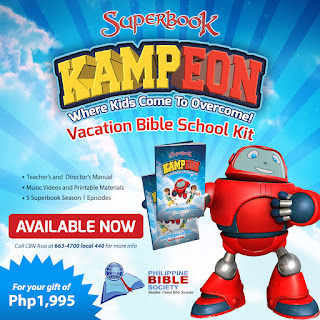 If you are church admin or church pastor or leader who thinks of organizing a VBS in your local church, give it a go using Superbook’s the Superbook KampEON VBS kit! 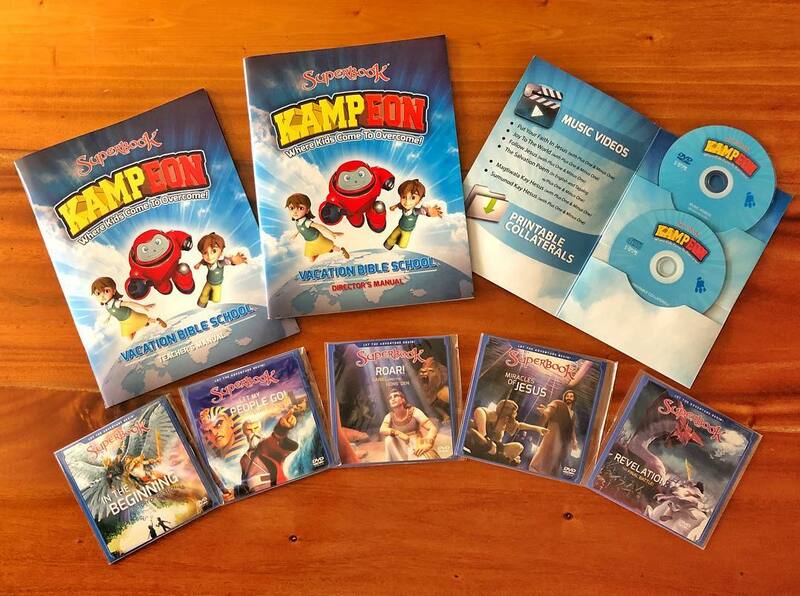 The kit contains a Director’s Guide, a Teacher’s Guide, music videos, printables and 5 Superbook episodes on DVD! 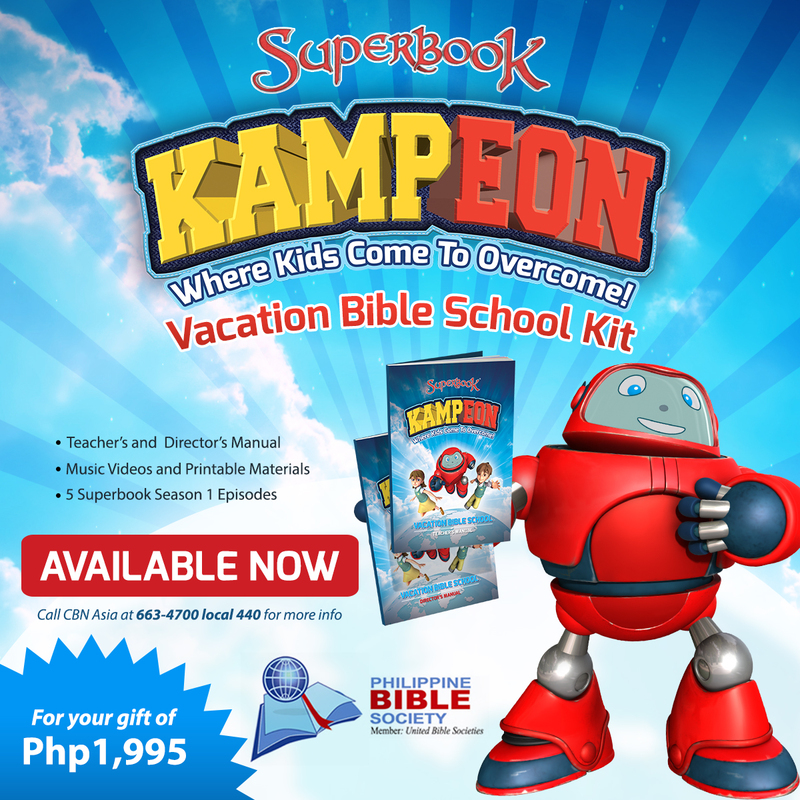 To avail Superbook ’s KampEON VBS Kit, just go to the nearest Philippine Bible Society (PBS) branch near you. You may also call or call 663-4700 loc 410 or 440 for more details! 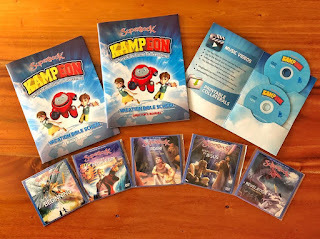 Those who will purchase before April 30 will get 2 Superbook Coloring books for free! For more details visit Batang Superbook or Cconnect with us through Superbook’s Facebook, Instagram, Youtube, Pinterest, and Twitter pages to keep updated with the latest Superbook VBS updates!. Summer is all about fun and excitement. It is the best time to enjoy your days outdoors, book a trip to the beach, and take a refreshing dip in the cool waters as you soak up the warm sunshine. However, summer is also the peak season when people become more prone to itching and dandruff. Moreover, the summer heat can be harsh to your scalp and even cause excessive sweating, which leaves you feeling irritable and uncool. If you’ve been scratching your head wondering how you can deal with dandruff and itching even while under the blazing sun, just read on to find out how some of the coolest online stars get to #KeepACoolHead this summer. 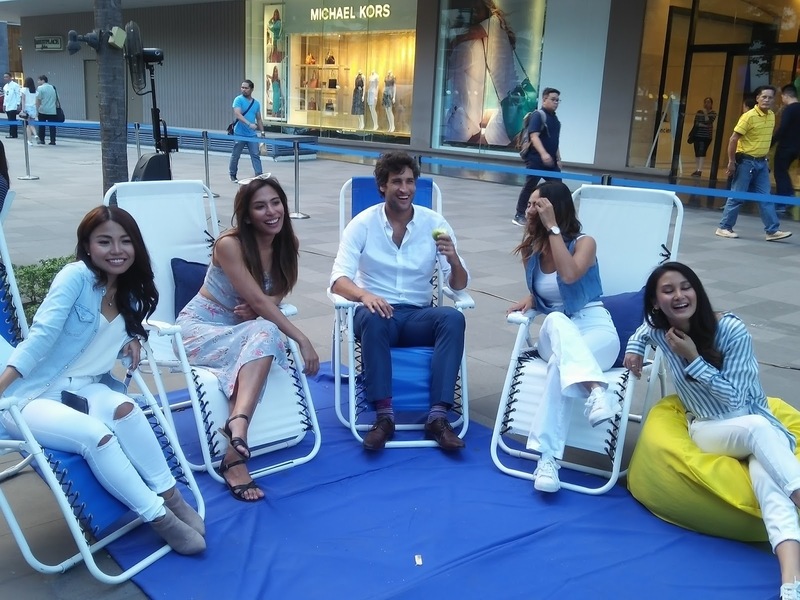 Athletes Nico Bolzico, Jeron Teng, and Kianna Dy; travelers An Estrada, En Estrada, Chie Filomeno, Janina Manipol, and Cha Ocampo; plus vloggers Michelle Dy and Haley Dasovich; all share a common secret to staying cool in this sizzling weather—they are proud Head & Shoulders ambassadors that swear by the limited edition summer variants that let them keep cool this season. Chie Filomeno, a local TV personality and an avid traveler, is one to go the extra mile to embrace those chill summer days. “I’m always on the go, whether it be for work or for leisure, and I always make it a point to bring my trusty travel essentials that keep me feeling cool and refreshed. When the sun’s high up, I keep the energy up too with a burst of freshness thanks to Head & Shoulders Apple Fresh on some days, and Head & Shoulders Lemon Fresh on other days,” shares Chie. 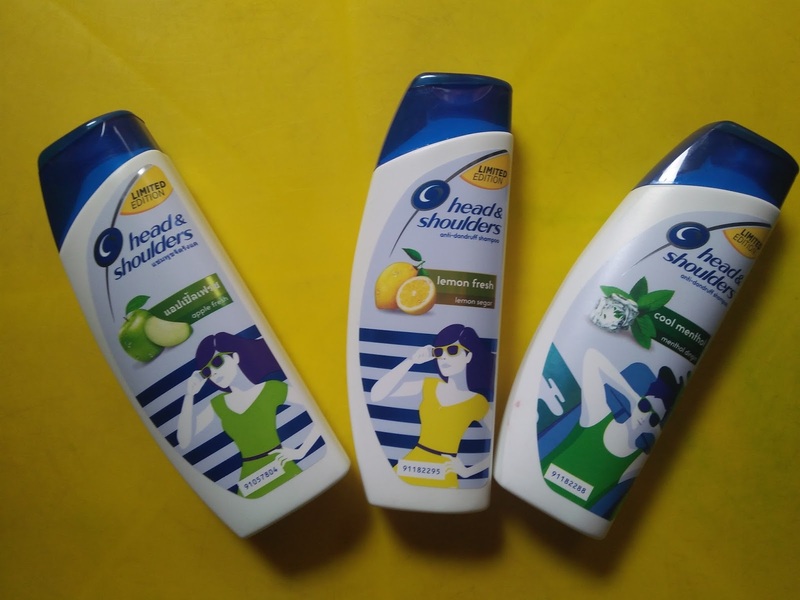 Made especially for those who want to keep things cool in the hot weather this summer, Head & Shoulders released variants that will keep you feeling AND smelling fresh all day. There’s Head & Shoulders Apple Fresh for that refreshing scent, Head & Shoulders Lemon Fresh for that citrusy lemon blast, and Head & Shoulders Cool Menthol for that minty cooling sensation after every wash. These are available for a limited time only, suited especially for those hot summer days. With Head & Shoulders, you can go ahead and enjoy the bright and fun days of summer without having to deal with the stress that goes along with the heat, sweat, and grime. Whether you are commuting in the hot city, dressing up for a BBQ with friends, or chasing the sun with some pool-side lounging, there is a Head & Shoulders summer pick for you! 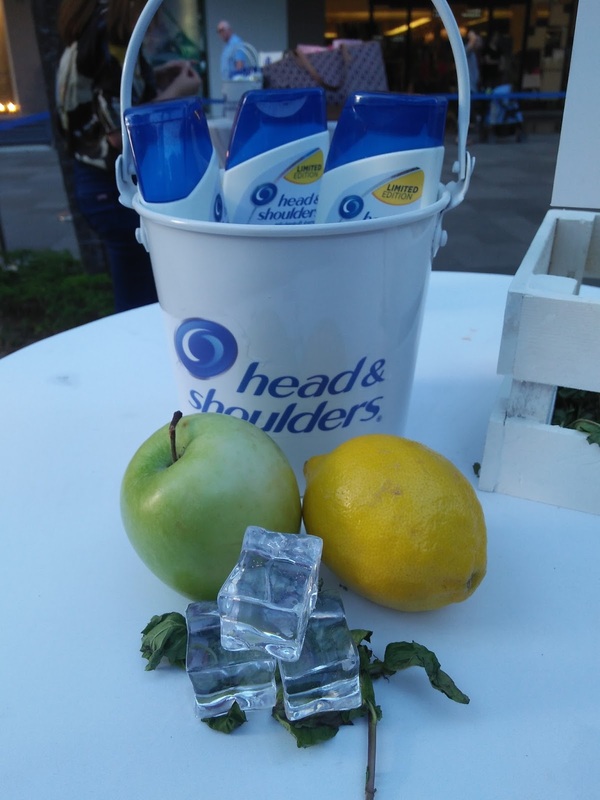 You too can #KeepACoolHead all summer long despite the extreme summer environments with Head & Shoulders’ icy menthol and refreshing apple and lemon blasts. As a cool treat, lucky users who purchased a bottle of shampoo from Lazada were selected through a random draw to meet & greet some of the online personalities that are also proud Head & Shoulders ambassadors! These lucky winners definitely got to #KeepACoolHead, as they spent the day chilling with the likes of Nico Bolzico, An Estrada, En Estrada, Chie Filomeno, Janina Manipol, and Michelle Dy. It’s time to break the ice: discover how to have the coolest summer yet by experiencing Head & Shoulders Apple Fresh, Head & Shoulders Lemon Fresh, and Head & Shoulders Cool Menthol. Each is priced at Php125.00 for every 170ML shampoo bottle, and they are now available at major supermarkets, sari-sari stores, drugstores, and convenience stores nationwide, as well as in e-commerce. In celebration of the Lazada 6th Birthday Sale from April 25-27, Head & Shoulders will have exciting promos, bundles, and discounts for everyone to get cool summer deals. Keep an eye out on those by visiting https://www.lazada.com.ph/head-and-shoulders-official-store/. Kids are in for one of the best fun and learning experiences this summer as Jollibee welcomes them to the best summer activity – the Jollibee Kids Club Mini Managers Camp, happening until May 31, 2018. Through the six-day camp, kids aged 4-12 years old can learn the important values and key roles of a Jollibee Manager such as hard work, leadership, and responsibility through various fun and engaging learning activities. Wearing their Jollibee Mini Managers uniform, complete with nameplates, the kid managers will greet customers as they enter the store, work behind the counter to take orders, and hand out take-out bags via the Drive-Thru window to discover and experience first-hand Jollibee’s values, the Alagang Jollibee service heritage, and learn the store’s best practices. They will also engage in arts and crafts, Yumburger making, ice-cream making, fun games, and dancing, all while interacting with other kids and meeting new friends. For only P650, parents and guardians can enroll the kids to the Mini Managers Camp at any participating Jollibee store nationwide. Non-JKC members are also welcome to enroll. Participants will get a Mini Managers Camp workshop kit that includes a set of Mini Managers uniform and name plate, activity materials and a camp bag, snacks for the six days of the program. The Jollibee Kids Club Mini Managers Camp is already accepting participants to the best summer workshop so, hurry, and sign up your aspiring Mini Managers today! Visit your nearest Jollibee store or follow /JollibeePhilippines on Facebook for more details. 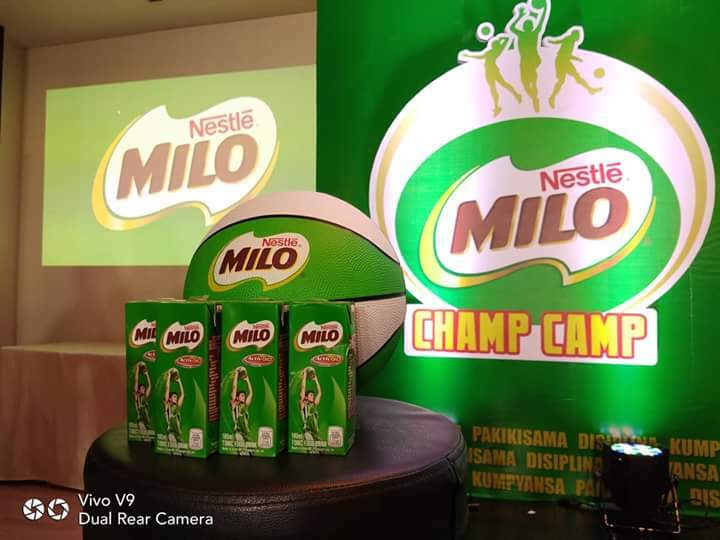 Bringing sports closer to grassroots communities with Barangay MILO Liga. 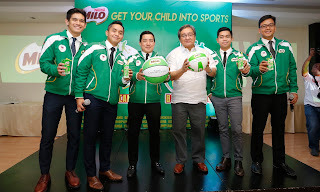 The Barangay MILO Liga seeks to elevate the yearly community-based tournaments during the summer break through the rehabilitation of facilities and sharing of MILO’s sports advocacy to residents of barangays across the country. By refurbishing basketball courts and mounting events that will unite the community and encourage children to participate in dynamic gameplay, Barangay MILO Liga will help Filipino youth become more active, and inspire residents to become more engaged in their communities. Everyday is Playday is having a Huge comeback at SM City North Edsa, along with 17 other malls, celebrate all play, all fun, all day for kids and the whole family. Making all SM Supermalls a venue for everything play. During the next months, more than twenty global brands will be launching their latest toy collections in SM City North Edsa. Likewise, more than 60 characters and brands such as SpongeBob, Shimmer and Shine, Beyblade, Hasbro Gaming and Shopkins, will tour all the 18 malls in a series of exciting shows and meet and greet sessions. This year's campaign is set to be much bigger and stronger with our growing partnership with Sony PlayStation, that will bring fun and exciting technology in our days of play, Fujifilm Instax, which will capture the best and fun memories from kids to kids at heart, and Paymaya and Globe G-cash that will offers 30% rebate on our local customers who wants to avail their favorite toys through mobile payment. Kicking off the campaign is the launch of the new Shimmer and Shine toy collection at the Block Atrium at SM City North Edsa on May 5-6. This top rating Nickelodeon show is about a twin genies-in-training who grants wishes to their human friend Leah. It highlights the importance of teamwork, resilience, and overcoming obstacles. This is a show that our little girls will surely wouldn't want to miss. 90's kids will enjoy the huge comeback of Beyblade, on August 31 - September 2 at the Annex Activity area at SM City North Edsa. It is known in Japan as Explosive Shoot Beyblade, a Japanese manga series. After the success of Beyblade Championship Tournament in SM City North Edsa the Annex early this year, wherein the winner will be sent to Japan this April to compete in the Asian Championship. This upcoming second leg's winner will be sent to compete in the World Beyblade Competition in Paris, France. The whole family will definitely love the Hasbro Gaming which will have activations at SM City Fairview, SM City Novaliches, SM City San Jose Del Monte, SM City East Ortigas, SM City Bicutan and SM City BF Paranaque from April to October of this year. Hasbro engages families and friends through toys and games. In this upcoming leg, they are set to create their very first life-sized versions of gaming toys including Monopoly, Jenga, Pie Face, Connect and Twister. Kids who love combining entertainment and education will surely get excited for Nutty Scientists which will have roadshow all around SM Metro Manila malls. They create fun, spectacular, interactive activities and uses educational techniques in the form of shows or workshops for kids. Children will be active participants on the hands-on activities they offer that will be led by professionals. Also this year, with the help of SM Cares, Everyday is Playday will be bringing DSWD partner charities and organizations including SOS Children's Villages Philippines to our series of shows and events. Watch out for more exciting toy launches and events this year.